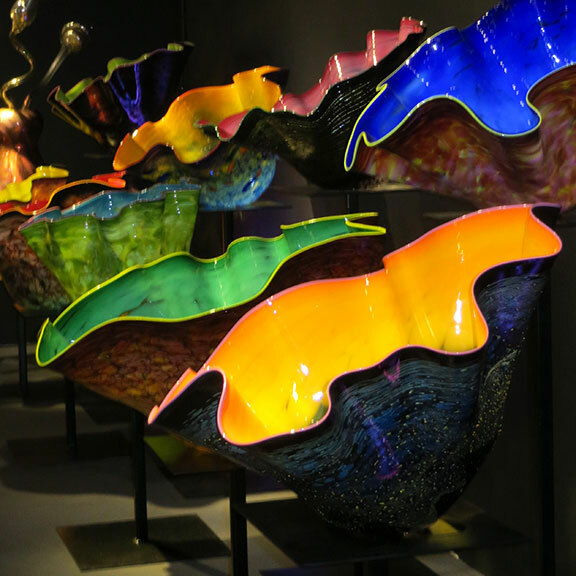 WMODA features a fabulous forest of Macchia designs which Chihuly developed in 1981 with his gaffer William Morris. 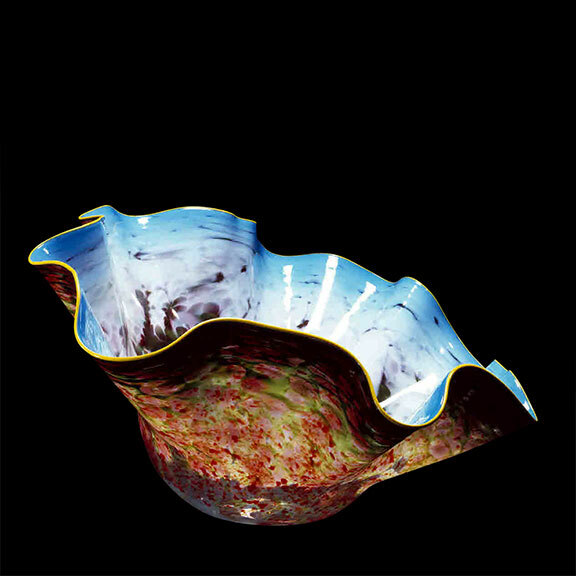 The name Macchia was derived from the Italian for stain, smear or spot. 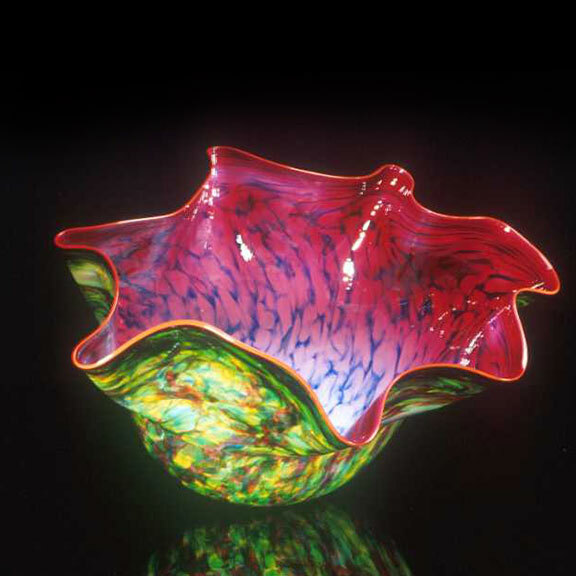 For this series of brilliant billowing bowls in blazing colors, he created a unique process that allowed him to contrast the interior and exterior glass colors without blending them together. 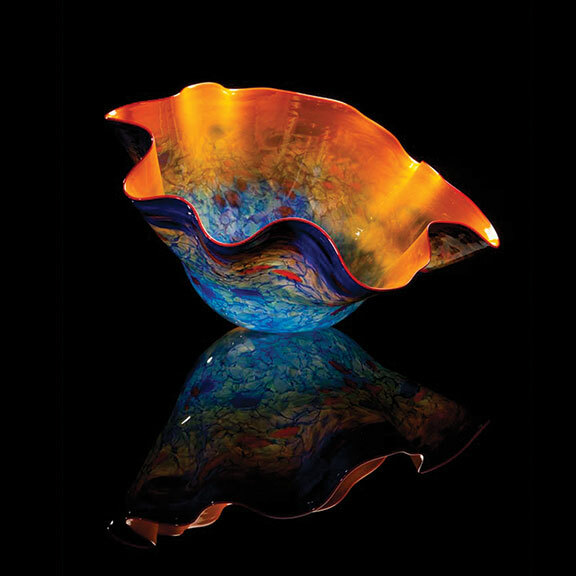 Lip wraps in contrasting colors capture the graceful undulations of the glass sculptures. 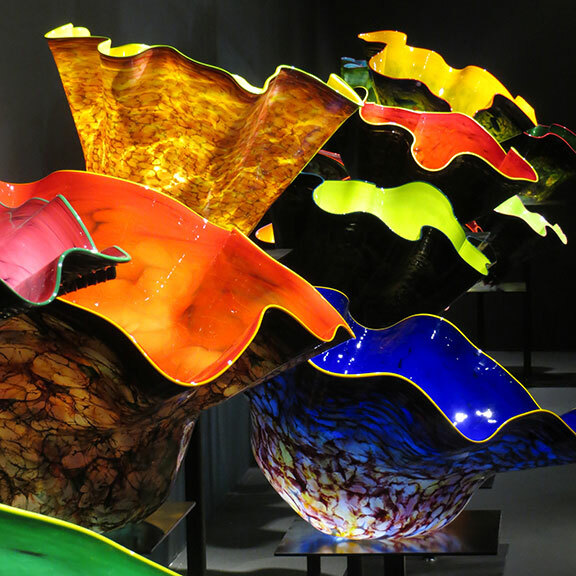 "The Macchia series began with my waking up one day wanting to use all 300 of the colors in the hot shop. 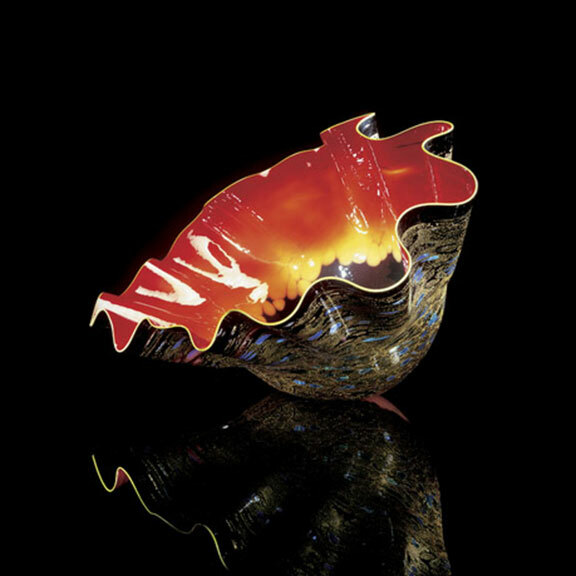 I started by making up a color chart with one color for the interior, another color for the exterior, and a contrasting color for the lip wrap, along with various jimmies and dusts of pigment between the gathers of glass. 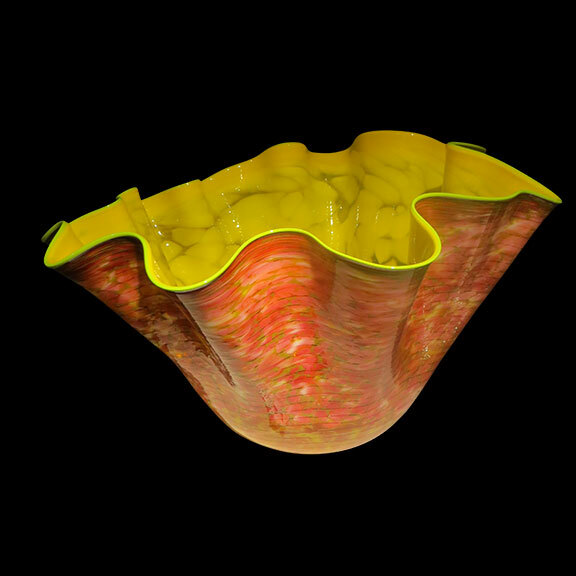 Throughout the blowing process, colors were added, layer upon layer. Each piece was another experiment. When we unloaded the ovens in the morning, there was the rush of seeing something I had never seen before. Like much of my work, the series inspired itself. 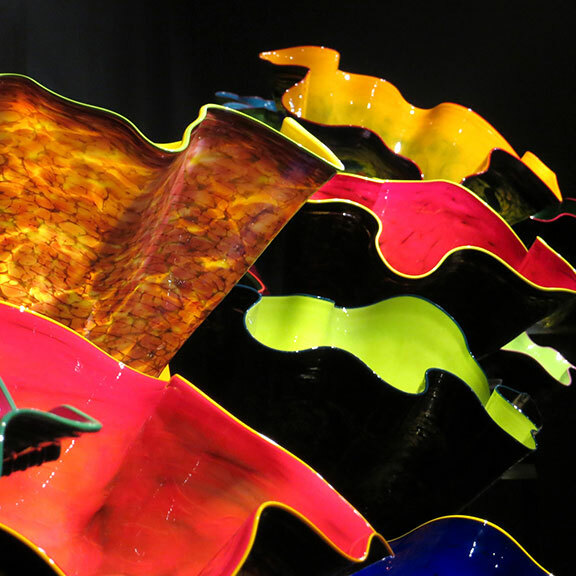 The unbelievable combinations of color—that was the driving force."